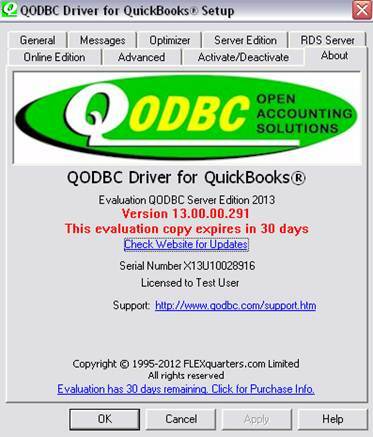 If you have activated QODBC with a purchased license CDKey and get the “Activation Successful” message and then run an application trying to use QODBC you get the message to Purchase or Update QODBC, there is usually a permissions issue involved with the newer operating systems such as Windows 7 or Windows 8. Right Click the QODBCSetup Screen icon and run as administrator and save. 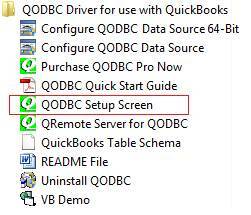 Then go back to the QODBC Setup Screen and Left Click to launch the Setup Screen. 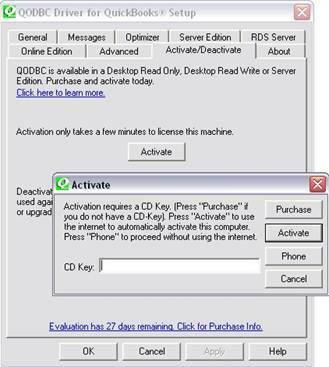 Go to the Activate Tab and then enter your CDKey in the Screen, you should then get an “Activation Successful” message. I went through this process, over a year ago and activated it. Recently it shows up evaluation expired and read only mode. I put information back in, it said activation successful but didn't change info on the about. I even waited a few days for the info to go up into your system and update but still not working. Tried it again and says keys for the driver have been exhausted.